Conceived for Hispanics. Aired to a global market, U.S. and Canada. "Guardians" for Pennzoil. To protect the car is to protect the driver. Spanish version. "Guardians" for Pennzoil. To protect the car is to protect the driver. English version. "Tunnel" for Pennzoil. Keep your heavy loads engine from being mauled. Spanish version. "Tunnel" for Pennzoil. Keep your heavy loads engine from being mauled. English version. 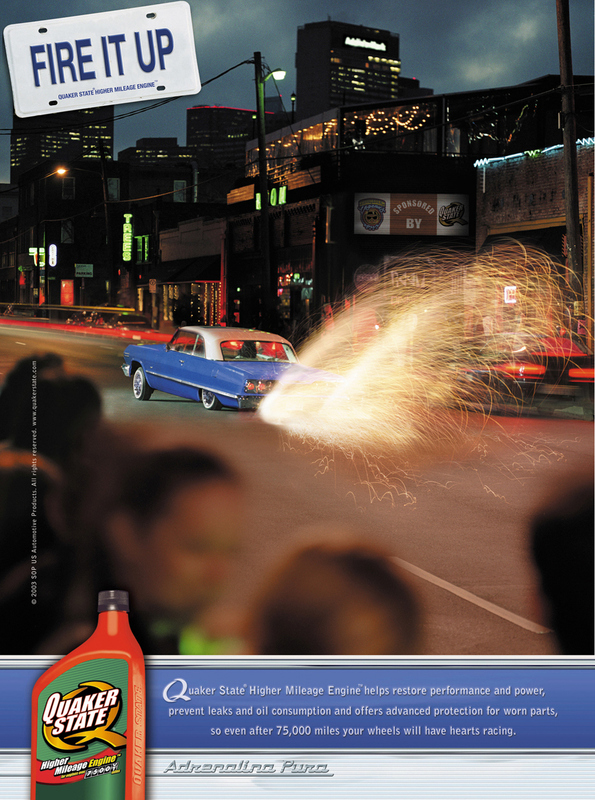 "Vigorous" for Pennzoil. Rejuvenate your 75,000+ mile vehicle. Spanish version. 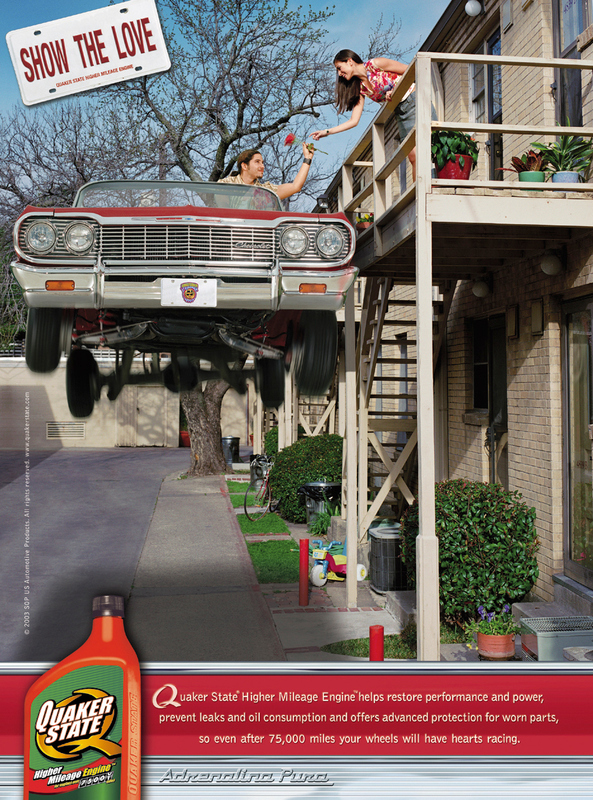 "Vigorous" for Pennzoil. Rejuvenate your 75,000+ mile vehicle. English version. "Backwards" for Pennzoil. Driving in reserve won't shave off the miles. Spanish version. "Backwards" for Pennzoil. Driving in reserve won't shave off the miles. English version. 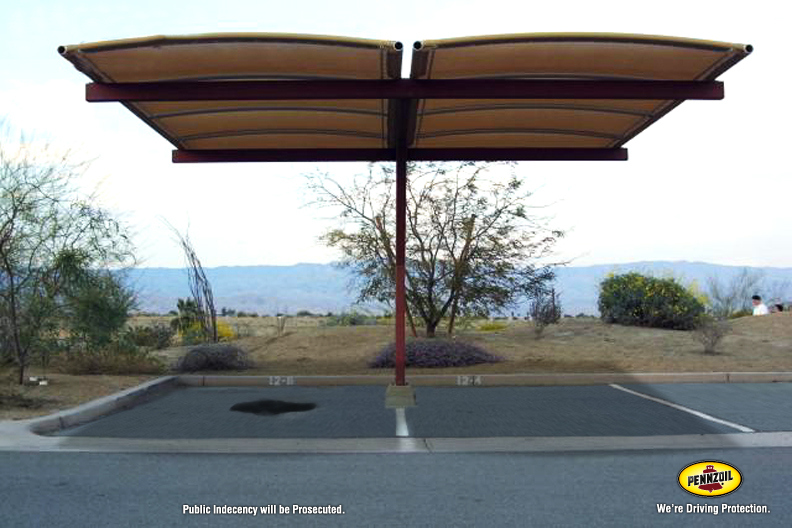 Virility pill lenticular. "For vehicles with 75,000 miles or more." 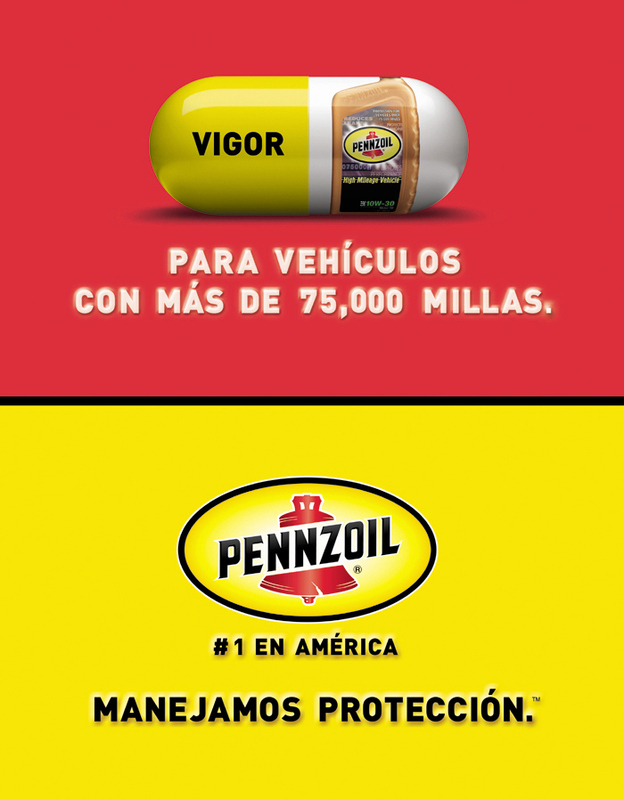 Pennzoil. America's #1. We're driving protection. Virility pill out-of-home. "For vehicles with 75,000 miles or more." 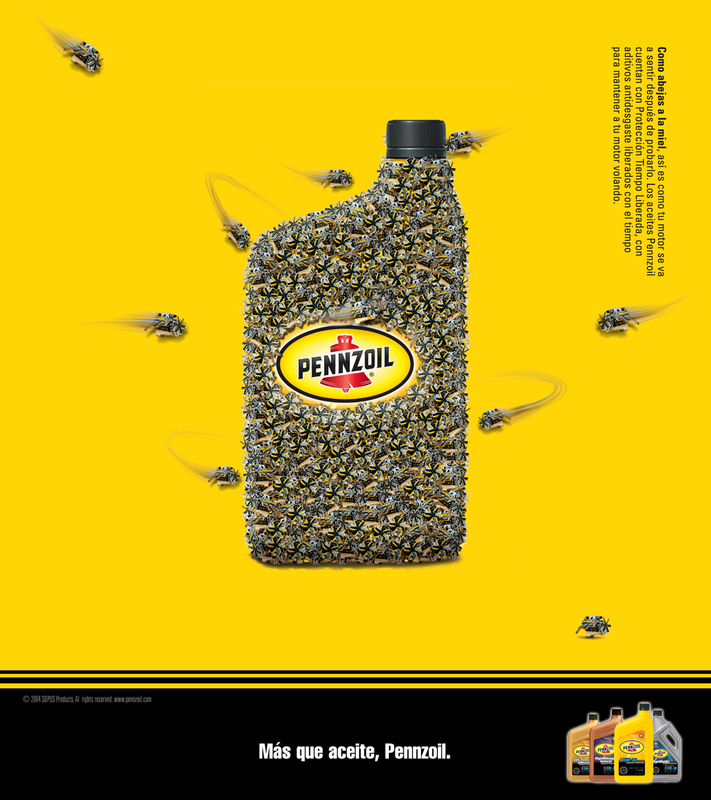 Pennzoil. America's #1. We're driving protection.